If you already own a business or have an idea for one, our Business Development Resources are here to help! The SmartZone is a nonprofit business and technology incubator funded by the Michigan Economic Development Corporation (MEDC). They facilitate the creation and development of high-tech local businesses. The Keweenaw Chamber of Commerce focuses on 3 areas of service; providing information, business referrals and networking opportunities. They host many events throughout the year for networking and business education. Members and non-members are invited to participate! The Michigan Small Business Development Center (SBDC) offers expert assistance at no cost to entrepreneurs looking to start or grow a business. The Keweenaw Economic Development Alliance (KEDA) has goals of fostering business growth, improving infrastructure, revitalizing communities, developing and attracting talent and enhancing cultural and recreational opportunities. UPWARD TALENT COUNCIL & MICHIGAN WORKS! Michigan Works! provides a variety of services to help businesses with all aspects of the finding and retaining employees. They are here to review your hiring procedures, employment strategies and exit protocols! Our local economic development organization, Main Street Calumet is a non-profit focused on economic development and historic preservation in Calumet. The organization works to cultivate business and individual efforts to create a vibrant historic community. Main Street frequently works to match business needs with appropriate agencies. Various business financing options like the Keweenaw Economic Development Revolving Loan Fund exist as do workforce development tools. A comprehensive list of these options are available at the KEDA website. Not sure what resource is the best match for you? Contact Main Street Calumet Executive Director, Leah Polzien for guidance! You can reach Leah at (906) 337-6246 or leah@mainstreetcalumet.com! Not sure if your property is in the Historic District or DDA District? Is your property zoned light industrial or residential? The following maps will help you understand where you're at! Calumet is lucky to have assistance from the Michigan Technological University G.R.A.C.E. 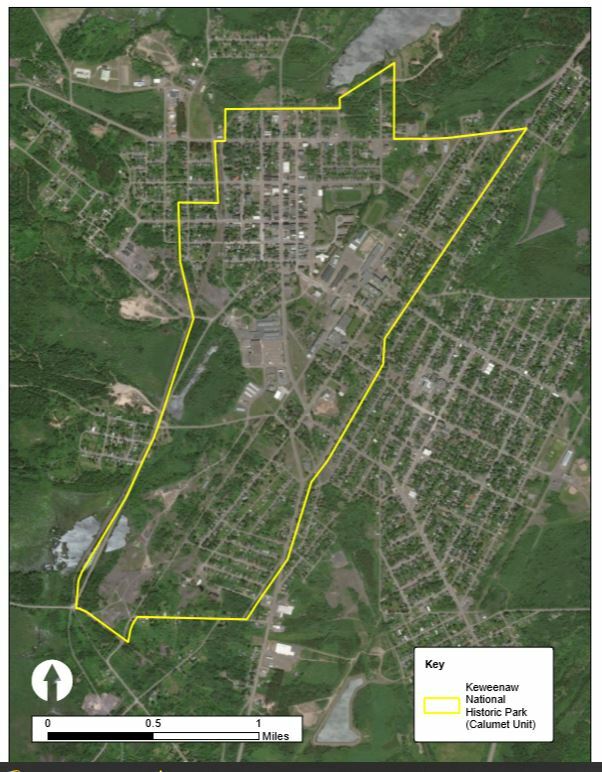 program, the Western Upper Peninsula Planning and Development Region and landgrid.com to develop GIS assets for community use. Listed below are the most commonly required permits and licenses needed to do business or redevelop a property in Calumet. However, to run your business in the State of Michigan you must register to pay taxes and review licensing requirements. Building improvements often require inspection and permits from Houghton County. 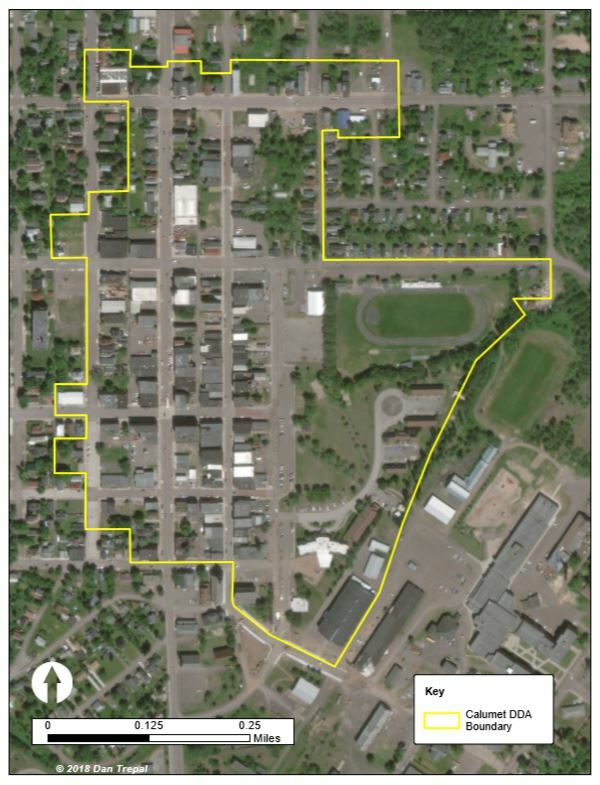 More information and permits are available via the Houghton Country Building Department. 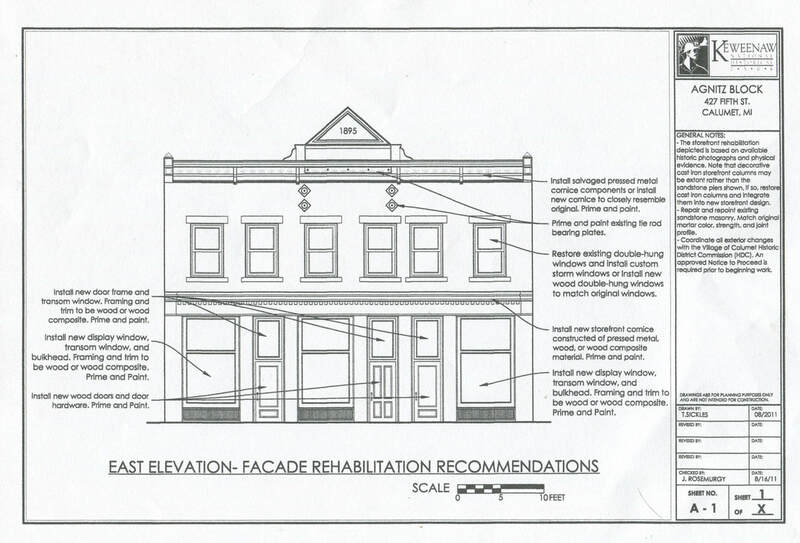 Work on the exterior of properties within the Historic District also require a Certificate of Appropriateness from the Historic District Commission. If you have a business related to producing or preparing food please contact the Western Upper Peninsula Health Department for appropriate licensing information. 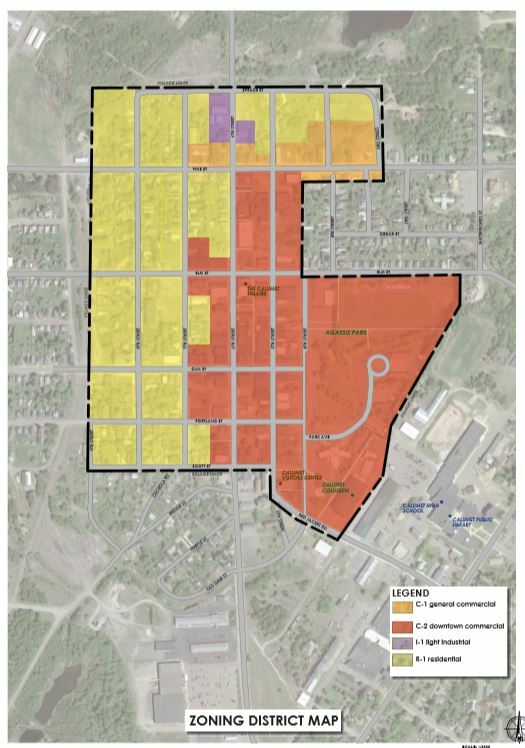 The Village of Calumet adopted a Master Plan in July, 2018. This plan is a guide for the future direction of the municipality. Business owners need to understand their market. The Village of Calumet has two documents that can help increase knowledge about the residents of Calumet and the surrounding service area. 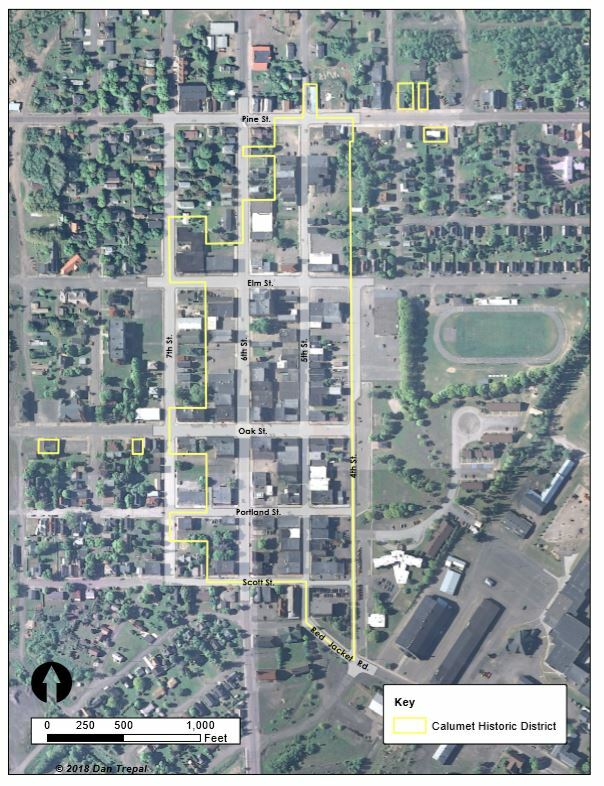 The Village of Calumet Zoning Ordinance specifies uses allowed for property within the Village as well as regulating lot size, structure placement, bulk (or density) and the height of structures. This is a moment in time where cost of entry into the real estate market is low and opportunities are great! Our list of Downtown Properties will give you a taste of what's available! The Village of Calumet DDA sets money aside annually to help property owners within the DDA district make improvements. These grants are typically for up to $2000 and require a cash match. Through the Michigan Community Revitalization Program (MCRP), MEDC is able to provide grants, loans, or other economic assistance for eligible investment projects in Michigan. The Federal Government allows a 20% income tax credit on qualifying expenses associated with preservation of an income producing (not private residences) historic property. To learn more about this tax credit program follow the link below. After some basic research we recommend contacting John Rosemurgy, Park Architect at Keweenaw National Historical Park (KNHP) for additional assistance.